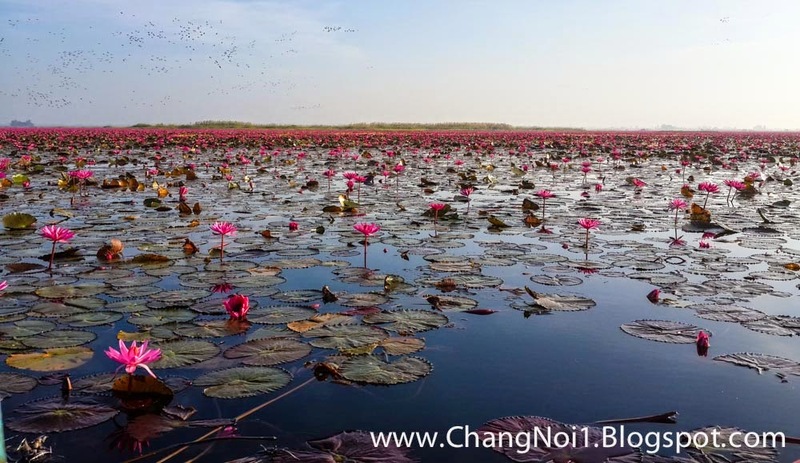 At Nong Han Kumphawapi Lake (20 km South-East of Udon Thani) from December until February / March the lake is filled with Red Lotus Flowers. It is an amazing thing to see. Best is to visit early in the day, actually arriving just before sunrise. There are small and a bit bigger boats to make a trip over the lake. You can choose for a short or long trip. The long trip is about 1 hour and costs 500 Thai baht. The boat can hold about 6 - 8 people (they say 10 but I would not do that). There are life-jackets on every boat. 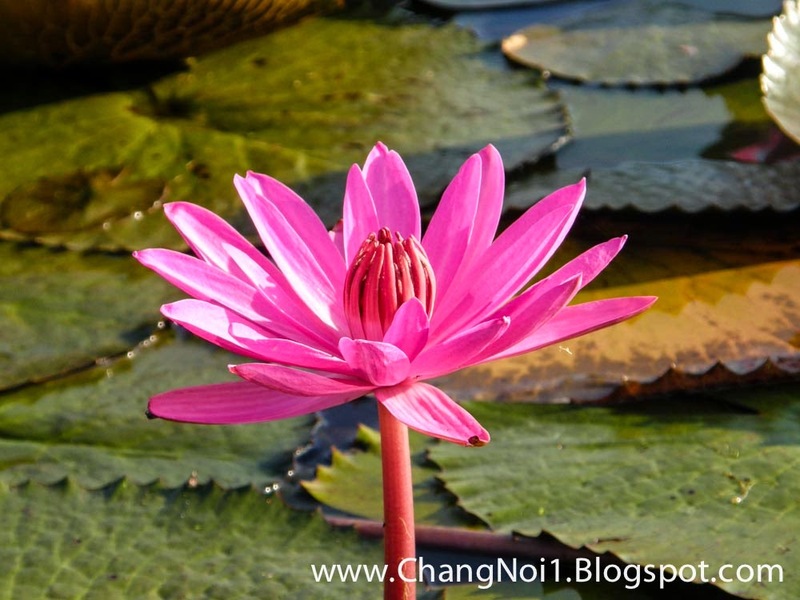 Now they say Red Lotus Flowers .... but actually they are pink. The lake is easy to find as along every main road nearby are signs in English (Talee Bua Deang) and Thai. You can park your car (there is no public transport) nearby a temple along the lake. There are a few simple restaurants and there is food & drink for sale. Well This Is Thailand so it would be weird if there would be not food. Another spectacular thing to watch on the lake are the small birds that fly in groups above the lake. And some dive down like they MIG's in pursue of a F16 (actually they are eating flies). 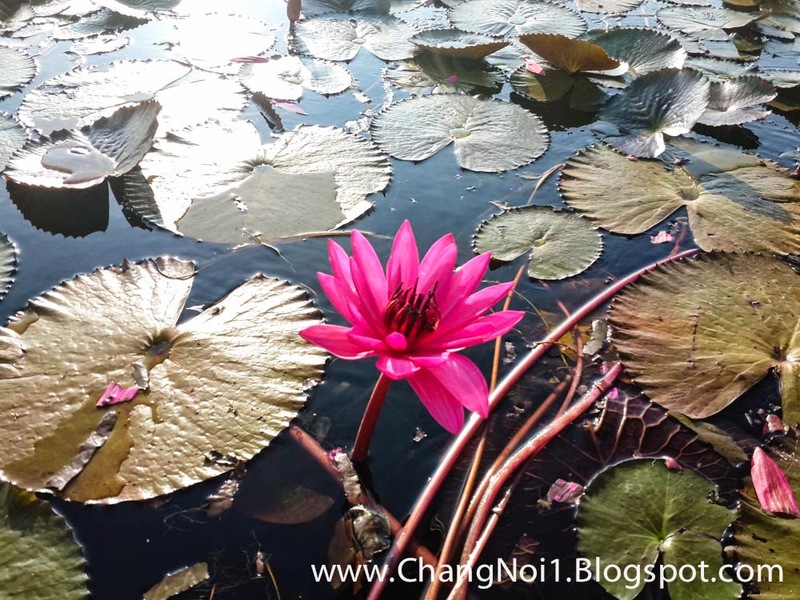 Of course there are more lakes with lotus flowers. One other famous one is west of Nong Khai. And another lake is at Sakhon Nakhon. 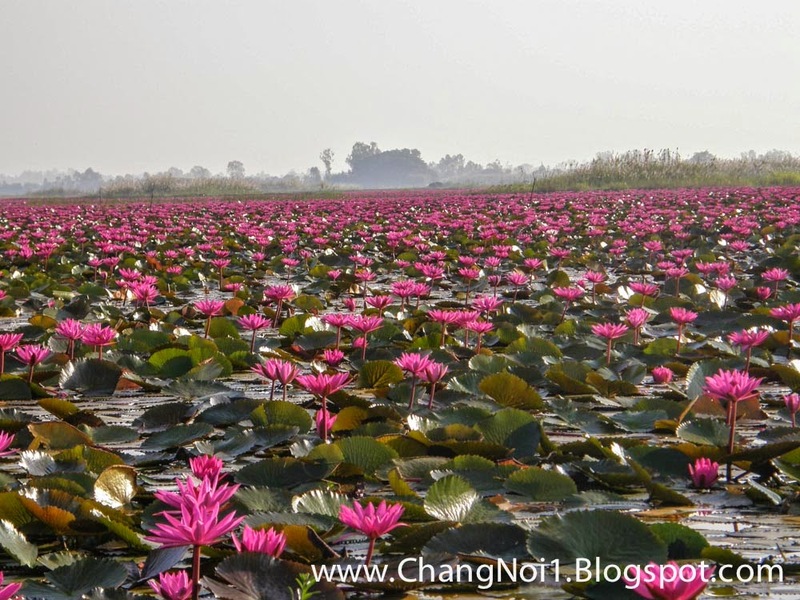 See A-boat-trip Between-lotus-flowers. 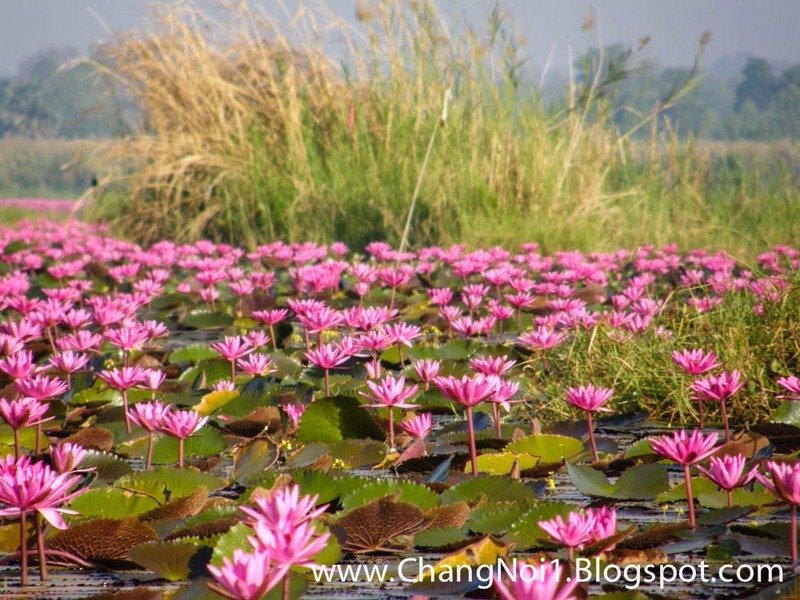 Following are some more photos of red lotus flowers.